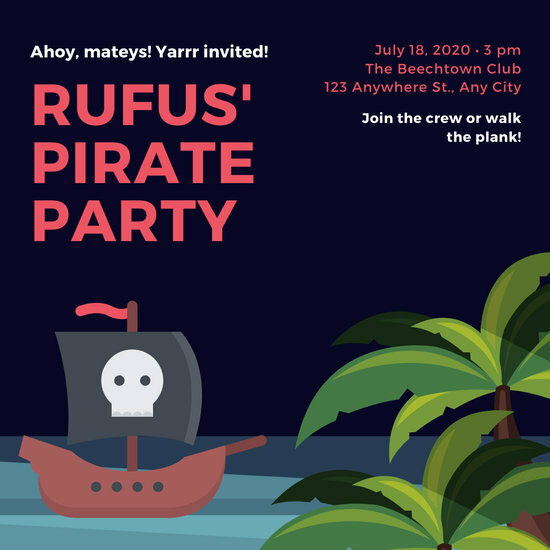 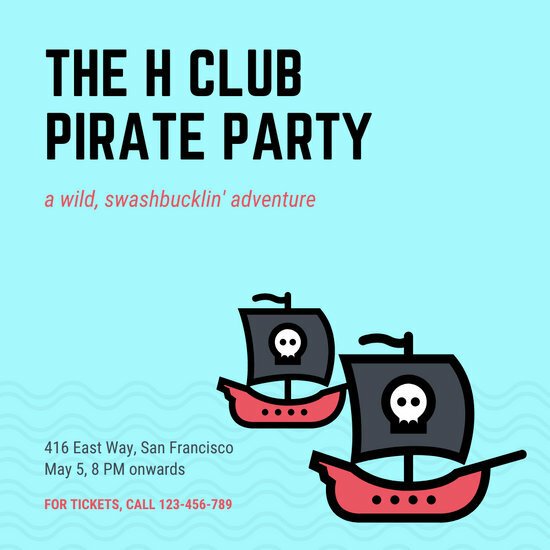 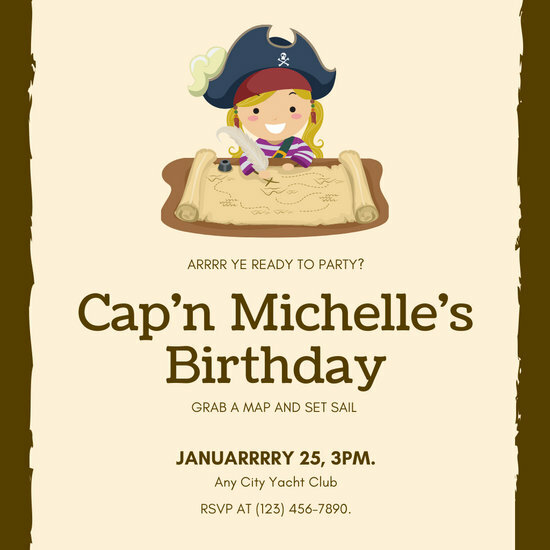 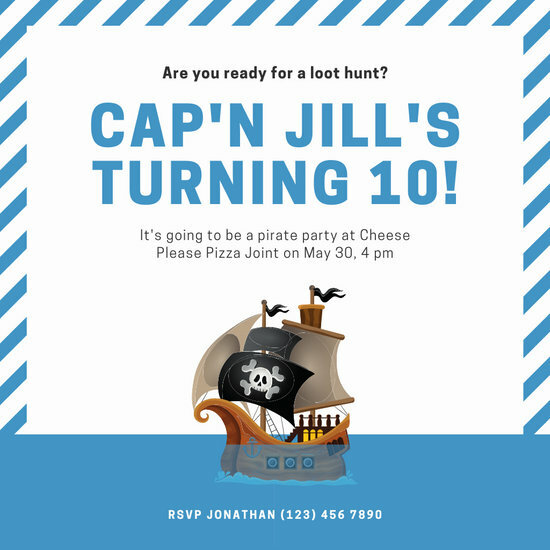 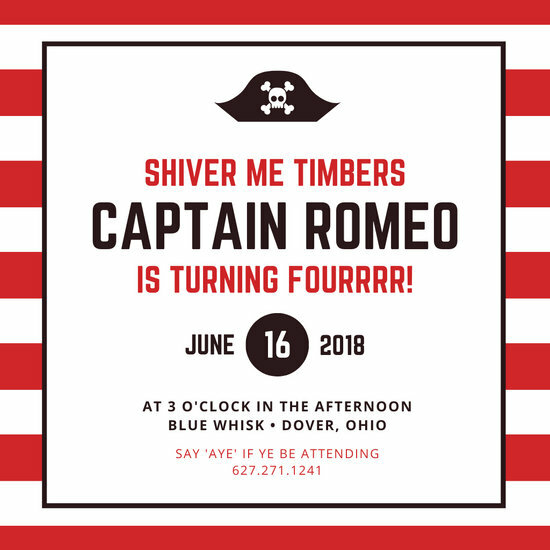 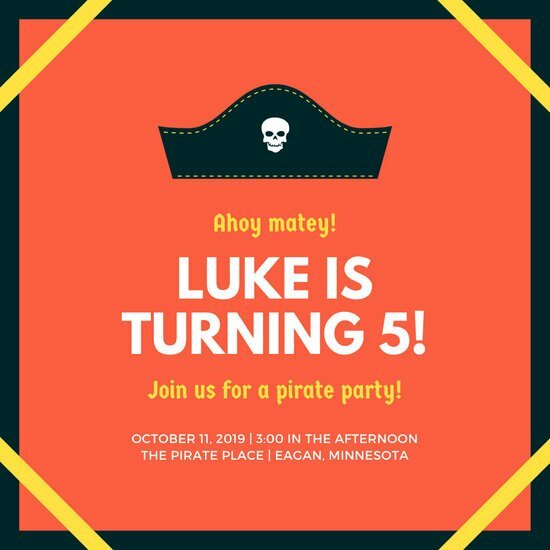 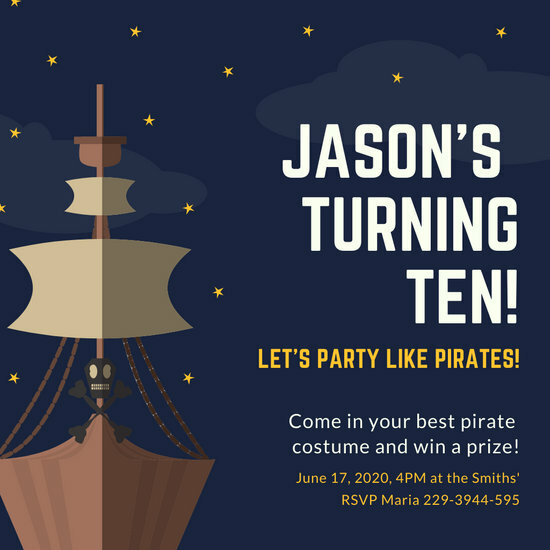 Expect all ayes from yer mateys when you send out custom Canva-made invitations to your pirate party. 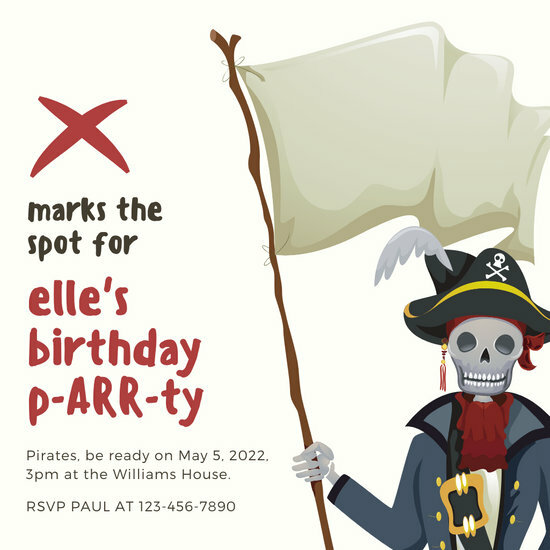 Pirate-themed parties are here to stay and with good reason. 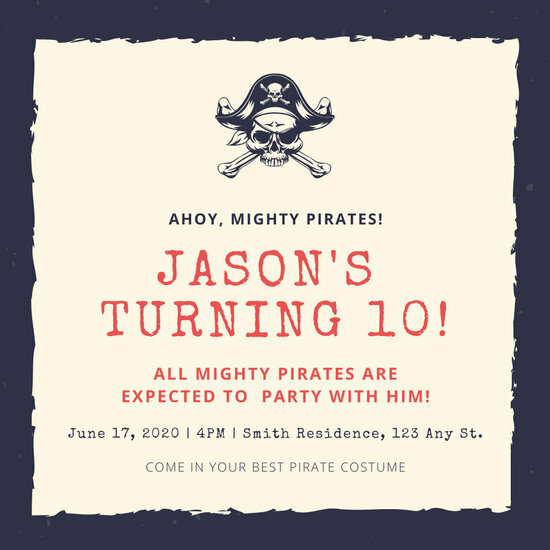 Not only can you dress up as an exotic pirate and speak sprightly pirate lingo, but you can also play thrilling treasure hunts and other exciting pirate games that can be great fun, too. 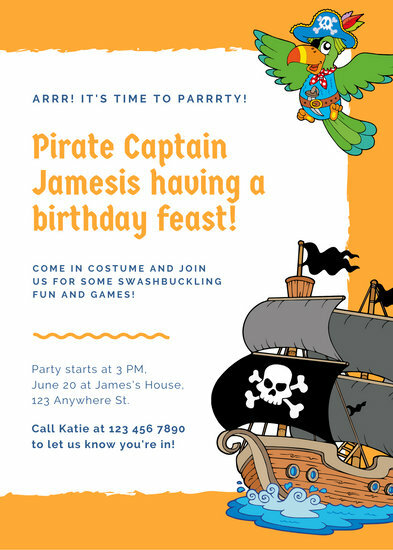 Whether it's a kids party, a birthday celebration, or an office event, you can always rely on pirate-themed parties to stir up some fun. 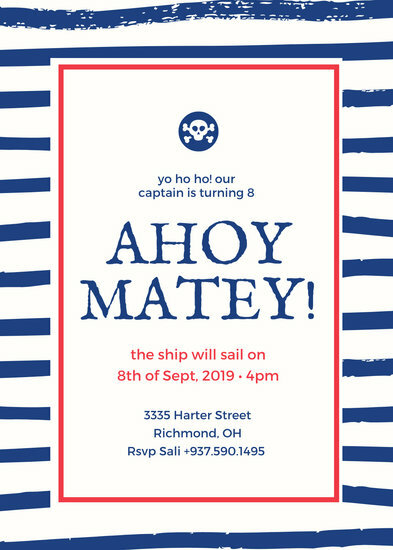 So wear your pirate hat and set yer ship's course. 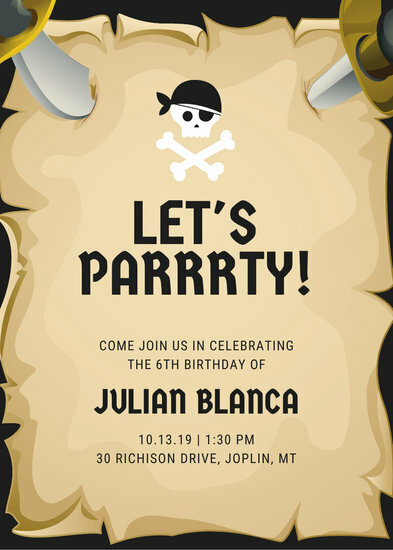 As captain of the pirate party, you need to make sure you throw only the best and most amazin' one. 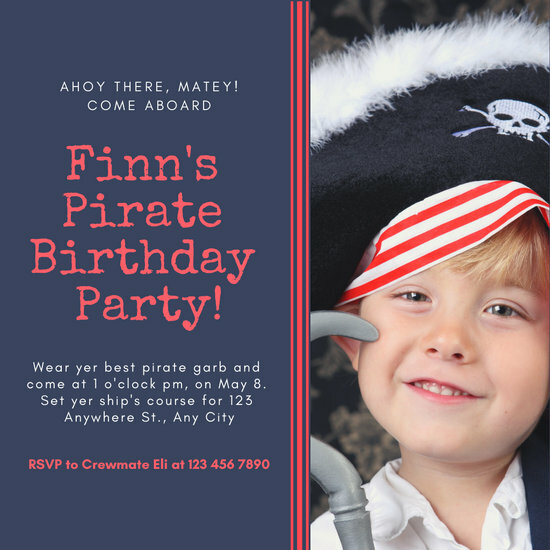 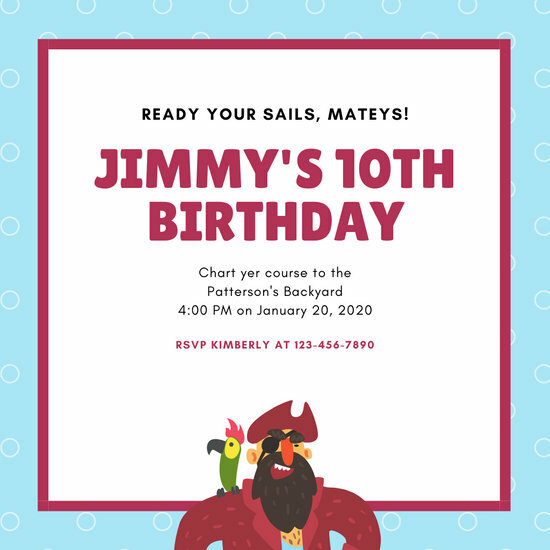 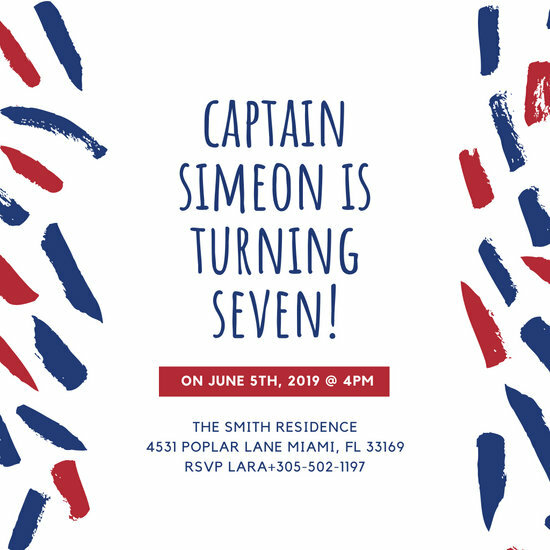 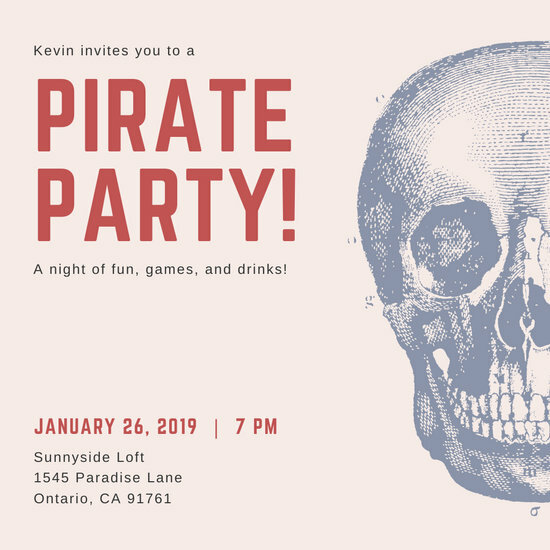 To save yourself the burden of creating your own pirate party invitation from scratch, use Canva's amazing graphic design software instead. 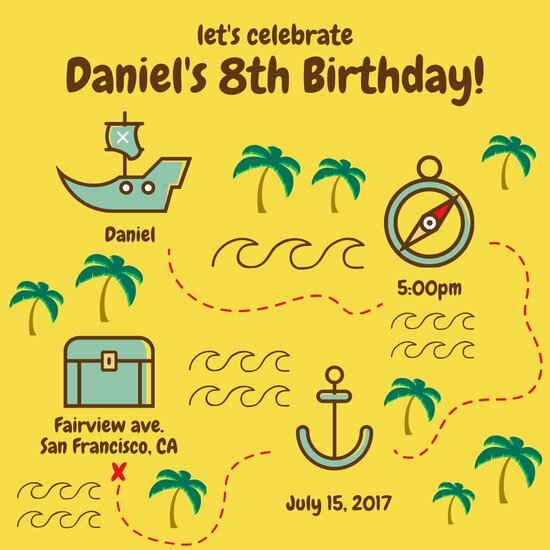 With a library of over a million design elements to choose from, such as shapes, lines, icons, illustrations, stock images, and more, as well as free and ready-made templates you can easily customize, you can effortlessly design a unique and creative invite that's far from boring and generic. 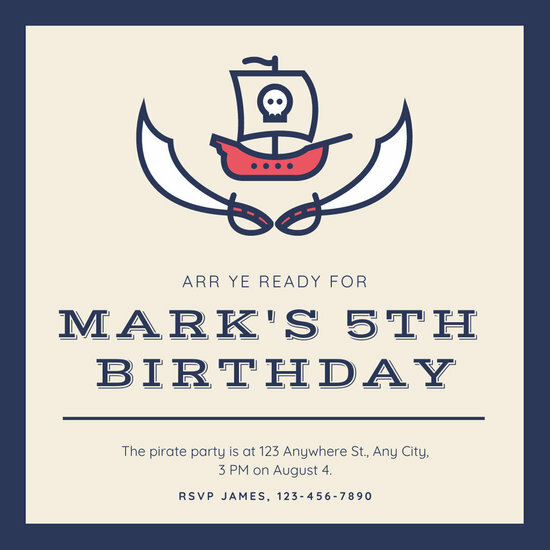 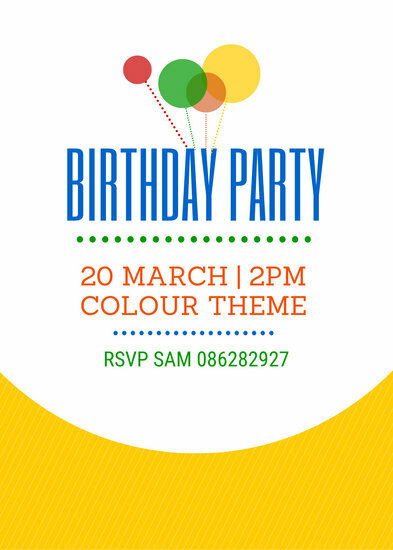 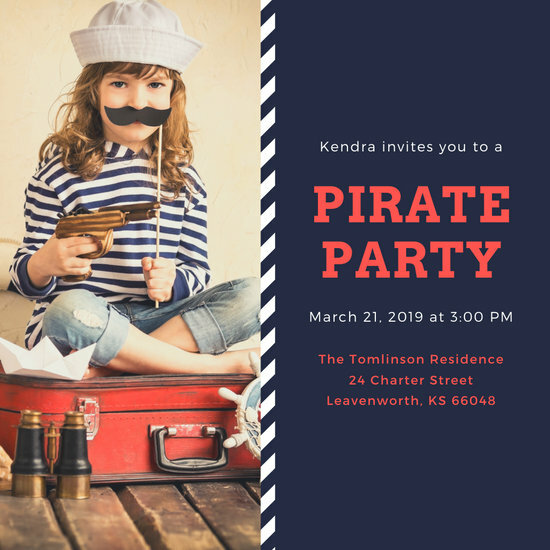 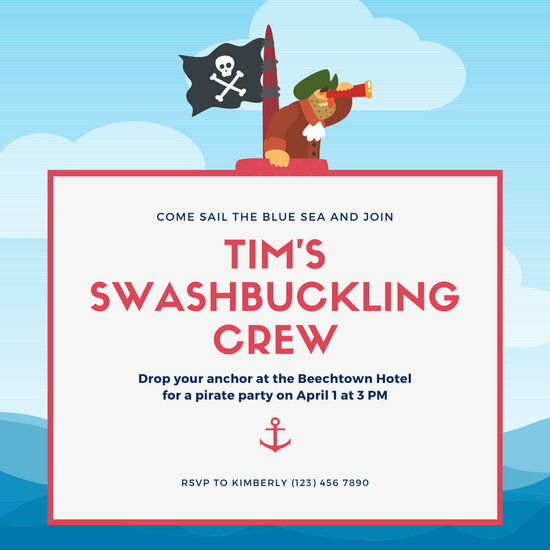 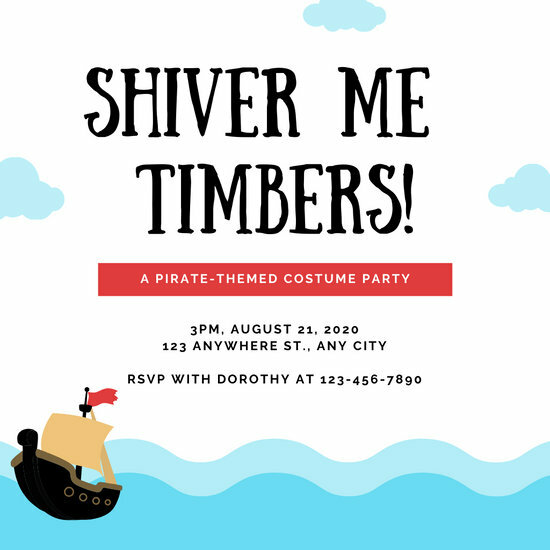 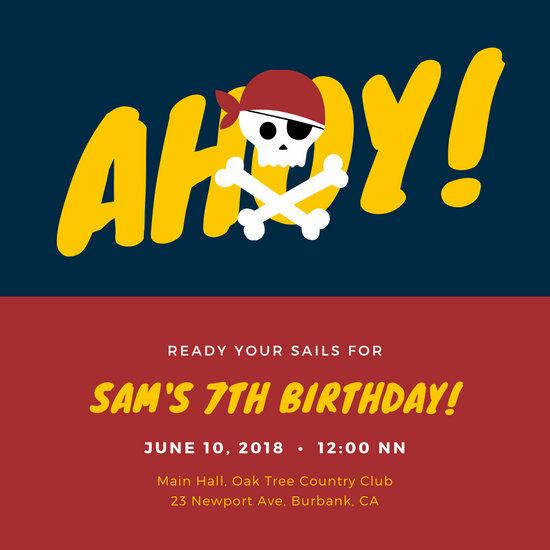 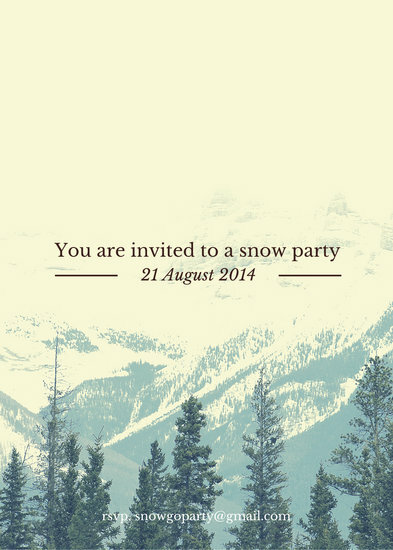 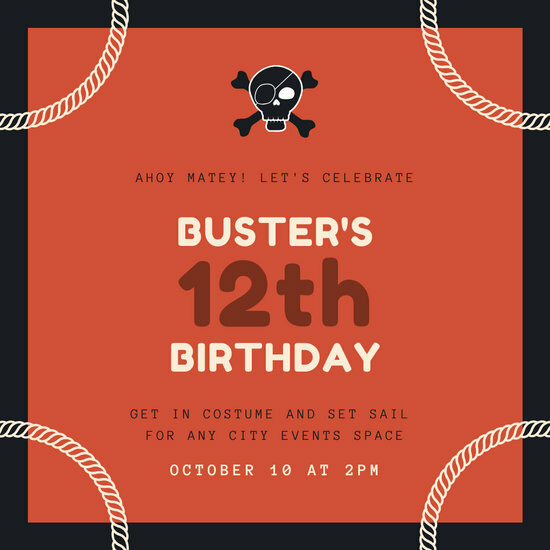 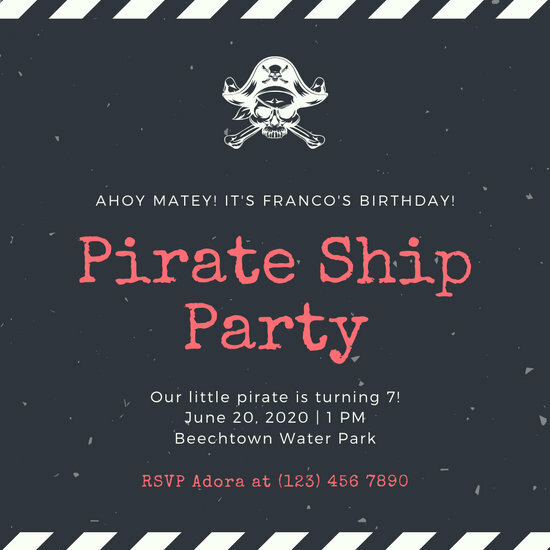 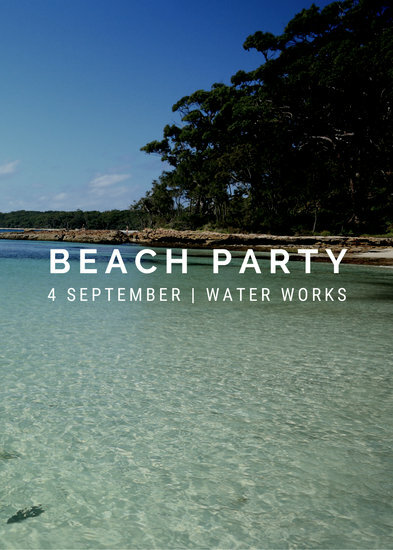 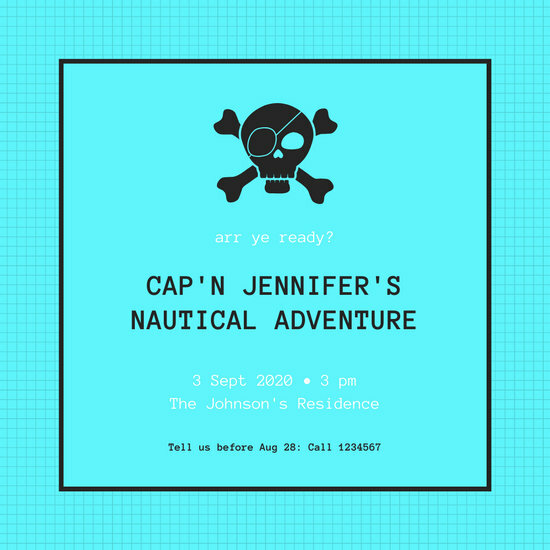 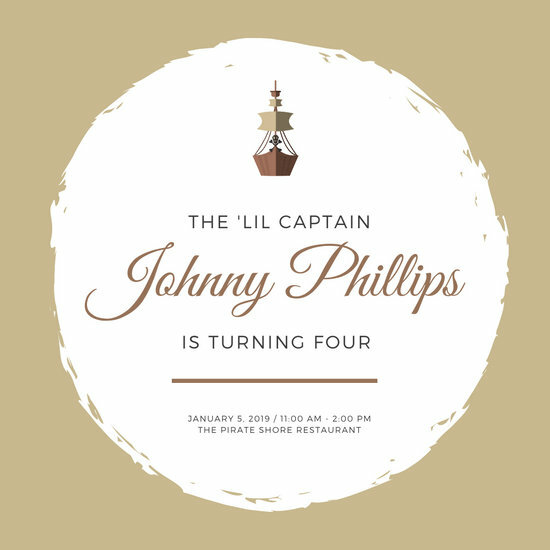 Create an attractive invitation for your pirate-themed event with Canva. 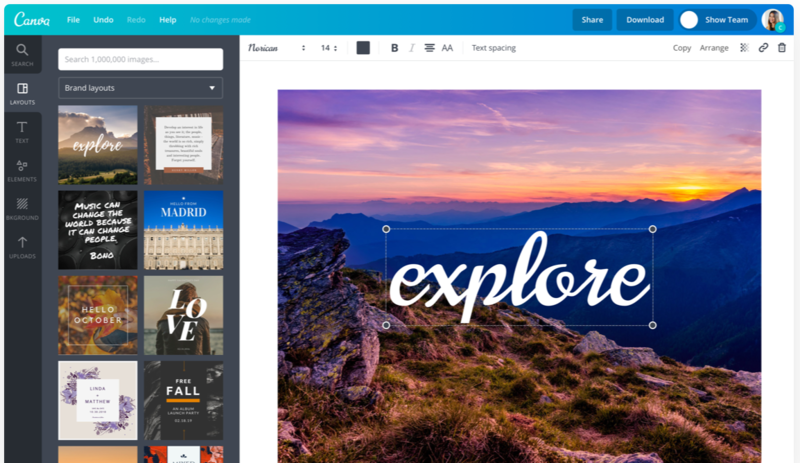 Select a template of your choice and modify its elements any way you wish to with Canva's convenient drag-and-drop tool. 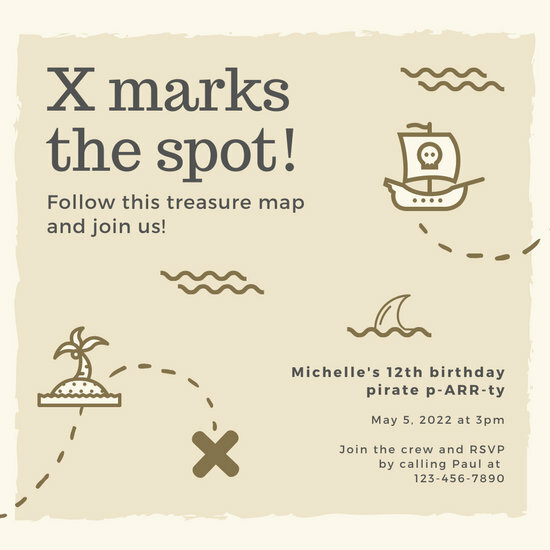 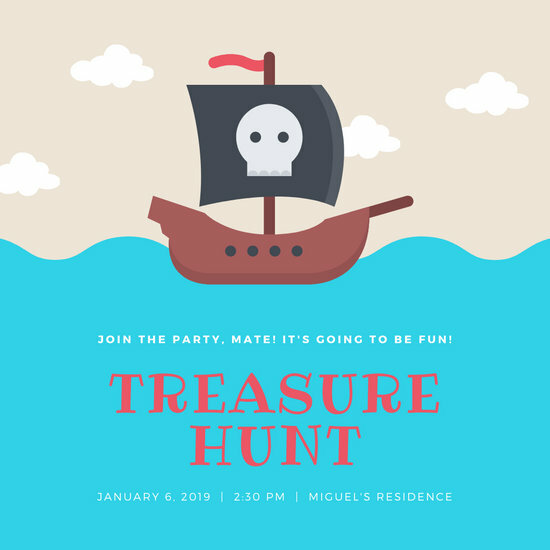 By browsing its interface, you can also find icons, illustrations, or stock images of treasure chests, golden hooks, and pirate ships that would look perfect on your invite. 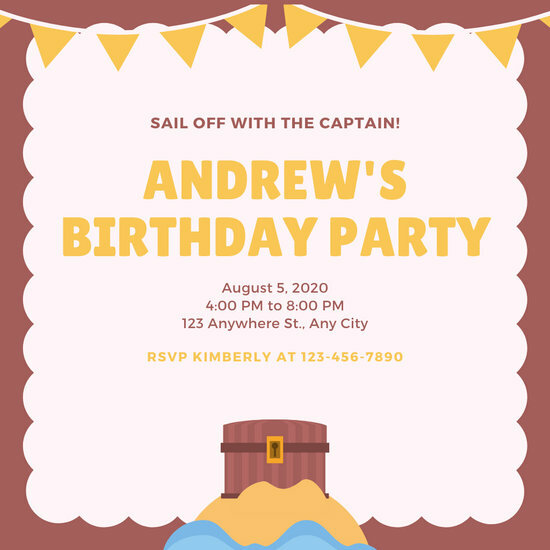 Once you're done fine-tuning the details of your invite, download the file for printing or distribution, or share it directly from Canva to your social media accounts.